Man accused of killing his millionaire grandfather blames "mistress"
HARTFORD, Conn. — A man accused of killing his millionaire grandfather for inheritance money says there is stronger evidence a woman he describes as his grandfather's mistress was involved in the killing. 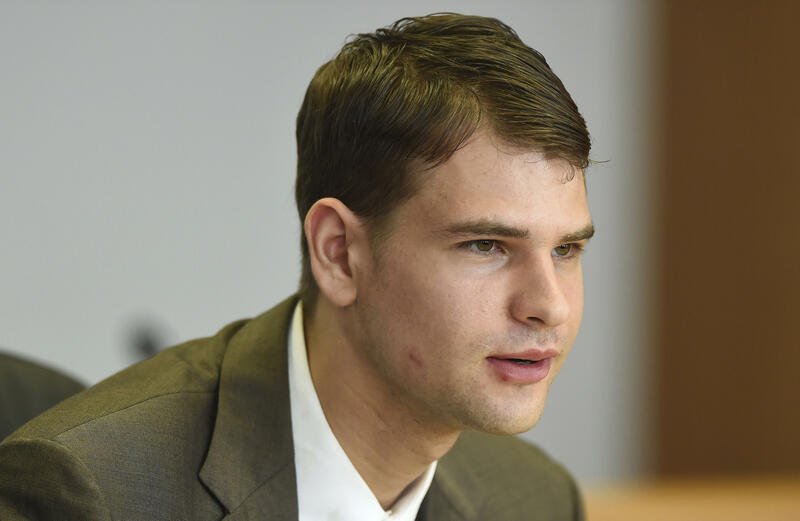 Nathan Carman's lawyer filed the court documents Monday in federal court in Providence, Rhode Island. Carman's grandfather, John Chakalos, was shot at his Windsor, Connecticut, home in 2013. Police have said Carman was a suspect, but never filed charges. Carman alleges robbery could have been a motive for his grandfather's mistress. The woman is not named in documents. Relatives accuse Carman of killing his grandfather and possibly his mother, who disappeared during a 2016 fishing trip with her son and is presumed dead. Monday's court filing came in a case over insurance money for Carman's boat. CBS affiliate WFSB reports the Chakalos family issued a statement saying, "Every day that passes in these legal proceedings shows even more clearly that Nathan's behavior is calculated, evasive, and ultimately, guilty."